Recently we’ve been talking about budgeting: what the REAL point of budgeting is and how to start budgeting from scratch. 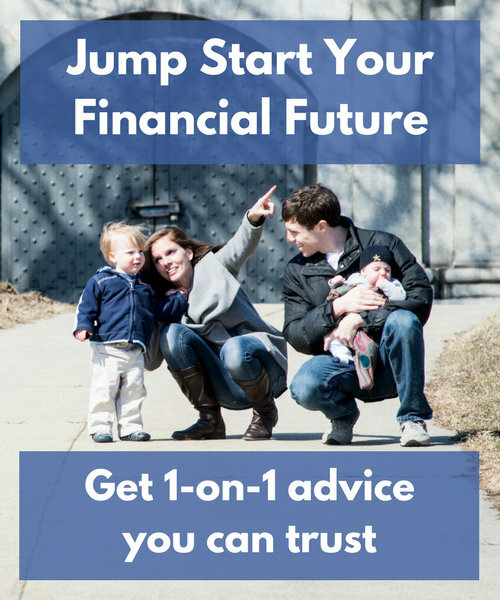 At this point, hopefully you’re ready to make some changes in your own life to take control of your financial situation. Or maybe you’ve already started, and hopefully seen some benefits. That’s great! Those first few steps can be a lot of fun because there’s usually a lot of opportunity to make some quick progress. But there’s a common roadblock that many people run into once they get going: an unsupportive spouse. Your spouse just might not be quite as gung-ho about budgeting as you are. There are plenty of potential reasons for it, both good and bad, but no matter the reason it can be tough if you guys aren’t on the same page. And honestly, this is also a potential source of tension in your relationship. 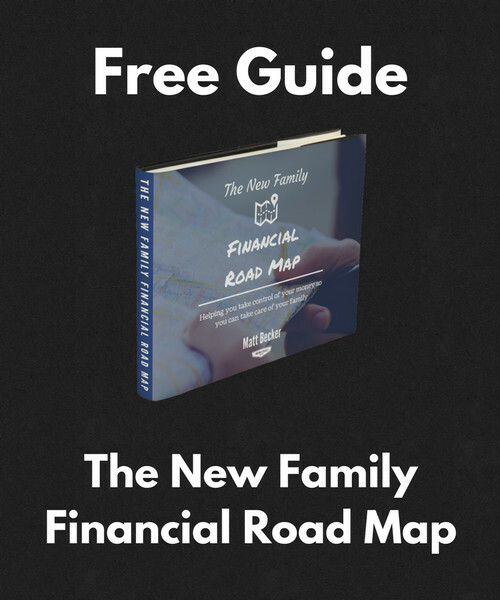 You might be upset that he or she doesn’t want to help you figure out your budget. And your spouse might feel targeted if you push too hard. It’s a place where you want to make progress, but you also want to tread lightly. 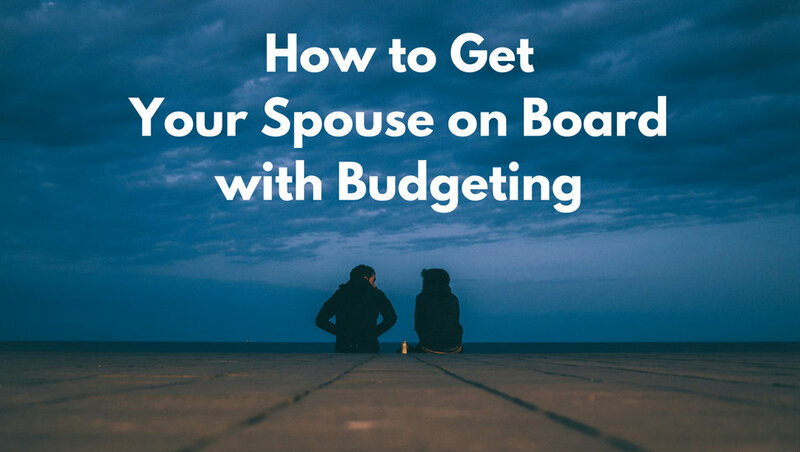 So in this post I’d like to give you a few ideas for getting your spouse on board with budgeting without creating a fight and without pointing any fingers. The goal is to get the two of you on the same page and working together towards the same common goals. 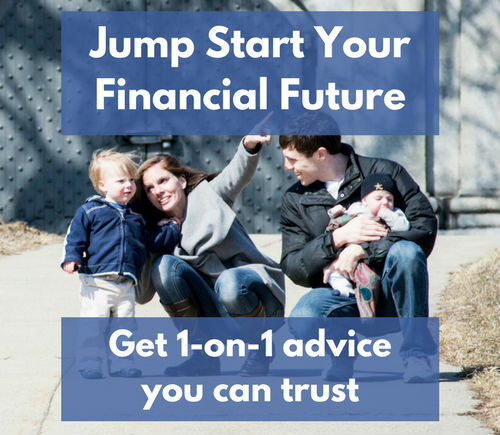 Let’s start with what NOT to do: don’t tell your spouse about all the ways you think he or she could improve how they manage their money. No matter how right you are, I probably don’t have to tell you why that won’t go well. Instead, start by looking inward. Focus on the things you can control and start making your own improvements one at a time. It could be little habits like packing a lunch for yourself for work. Or it could be something like negotiating your cable bill or switching yourself to a lower-cost cell phone plan. When you make these changes, you can talk about them with your spouse. And it doesn’t have to be said in a bragging kind of way. You can simply bring it up as something you’re working on, just as you might talk about something that’s going on at work. By focusing on yourself, you can start making improvements immediately without having to convince someone else to get on board. AND you’ll be leading by example, which will hopefully do some of the convincing for you down the line. Once you’ve started to make some of your own changes, the temptation is going to be to try and convince your spouse to start making changes on their end as well. After all, this is a team effort, right? It definitely is, but at this point that kind of request is likely to make your spouse feel judged and put him or her on the defensive, which isn’t exactly where you want your teammate to be. What you can do instead is ask your spouse for help with your own issues. Where are you personally struggling to contain spending? What are some things you would like to save for but don’t know how? 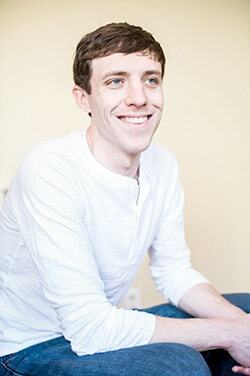 Put yourself out there, make yourself vulnerable, and ask for input. You will (hopefully) actually get some help with something you’re struggling with. You’re not in any way judging or criticizing your spouse. In fact, you’re actually flattering them by asking for their help. It’s a win-win really, and it’s a great way to get to conversation started. More than anything else, this is the habit that will keep the two of you on the same page and working towards the same goals. Having a regularly scheduled time where the two of you can sit down and talk over the financial side of things makes a BIG difference. It makes sure that no problem can get too big before it’s discussed, and that the two of you are always pulling in the same direction. These meetings are a good time to ask for help, like we just talked about above. They’re also a good time to talk about joint goals – the things you’re excited about working towards together. In fact, asking your spouse what his or her goals are and then helping to make some plans to get there can be another great place to start. 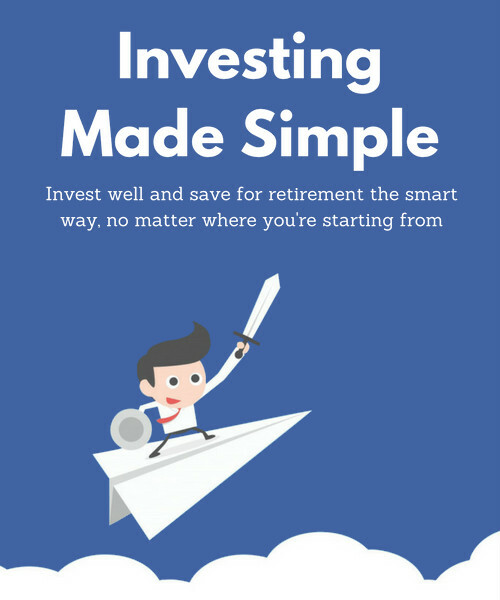 The more you can get excited about making your money work for you, the better. How often you meet is up to you. It could be weekly, every other week, or even once a month. But whatever it is, make that meeting a priority. Sticking to it will help a lot. As you start working on this together, most of what you’ll probably be talking about are the joint goals you’re working towards. After all, it’s that common vision that will allow you to build a life that makes you both genuinely happy. But when EVERYTHING becomes a joint decision, things can start to feel a little claustrophobic. You can start to lose your sense of self, and that can lead to some resentment and eventually to someone not being on board with the plan. 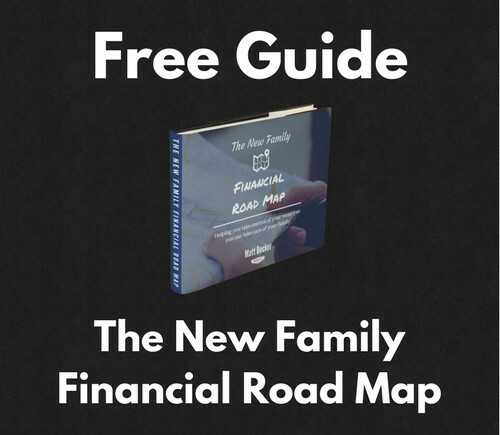 A good way to combat that is to budget in a little “free spend” money for each spouse. This is a certain amount of money that each of you is allowed to spend as you please, no questions asked. It allows both spouses to preserve some independence without blowing a hole in the rest of your plan. Every now and then it’s nice to focus on yourself without worrying about how it’s going to affect the rest of your family. This gives you both a way to do that. Getting on the same page with your spouse is important. You won’t always agree on everything and you don’t necessarily have to have the same day-to-day involvement in your finances. But long-term success definitely requires that you are at least working towards the same goals and taking joint responsibility for getting there. Still, it’s incredibly normal for it to take some time to get there. Money is one of those things where different people realize the importance at different times. I look at my own situation and I really didn’t know what I was doing financially when I got out of college. It took some time for me to first recognize that having a system was important, and even more time to settle on a system that worked for me. So if your spouse isn’t totally on board from the start, just recognize that that’s normal. Go back to the steps above, and start by focusing on yourself. Involve them by asking for help, and try to let it grow naturally from there. It will probably take some time and some trial and error, but eventually you’ll find something that works for both of you.